February 10, 2016, 5:38 p.m.
Two years with no racial diversity in the major Academy Awards categories may have soured African-Americans, among the most active moviegoers in the country, on the Oscars. In last year’s Economist/YouGov Poll on the Oscars, the first year since 1995 with no African-Americans nominated for the acting awards, blacks still believed that the Academy generally did a good job with its nominations. No longer. Two years ago, 12 Years a Slave won the Oscar for Best Picture, and it was also the first choice of the American people in that year’s Economist/YouGov Poll. Last year, there was a racial split in what the Best Picture winner should be: whites chose American Sniper, blacks chose Selma. Overall, the public favored American Sniper, though neither of those films won. Birdman did. This year, Mad Max: Fury Road is the Best Picture nominee seen by the largest number, but it isn’t the public’s Oscar favorite. That would be The Revenant, starring Leonardo DiCaprio, who is also the public’s choice for Best Actor. The Revenant leads The Martian by two to one, and DiCaprio leads the star of The Martian, Matt Damon, by the same ratio in the contest for Best Actor. As usual, however, many people don’t make a selection. Nearly half have no favorite for Best Actor, and slightly more have no favorite for Best Picture. 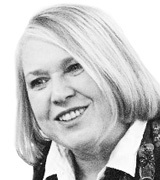 When the public looks at the acting awards, they tend to focus on the best-known candidates. DiCaprio was the public choice two years ago, for his work in The Wolf of Wall Street. The Best Actress favorite this year is Jennifer Lawrence, for Joy. She won an Oscar for Silver Linings Playbook in 2012, and was nominated for Best Supporting Actress two years ago for American Hustle. But even more people have no choice for Best Actress than have no choice for Best Actor. The other female acting category, Best Supporting Actress, is also led by a previous Oscar winner, Kate Winslet. This year she is nominated for Steve Jobs. Jennifer Jason Leigh is in second for The Hateful Eight. Americans also reach back to the familiar in the Best Supporting Actor category. Sylvester Stallone is in first place for Creed. But more than half the public gives no preference. African-Americans and Hispanics in this poll are more frequent moviegoers than white respondents, though most people go to the movies only a few times a year at most. But 15% of blacks in this poll say they go to a movie a few times a month, twice as many as the 7% of whites who say that. 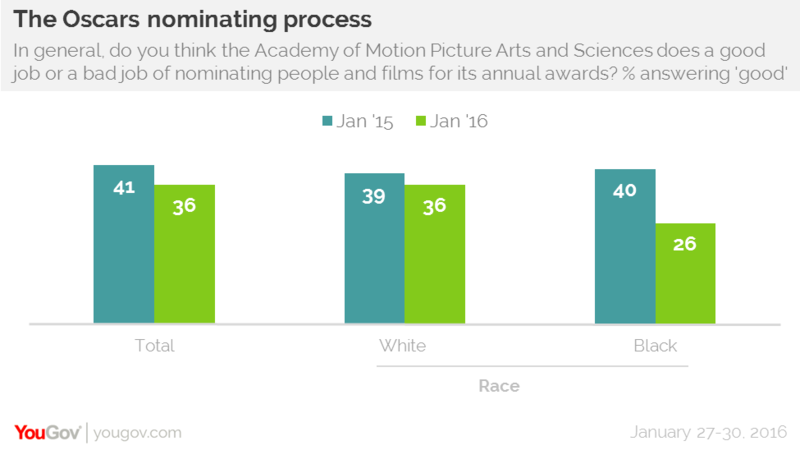 African-Americans also follow the Academy Awards more closely than whites. 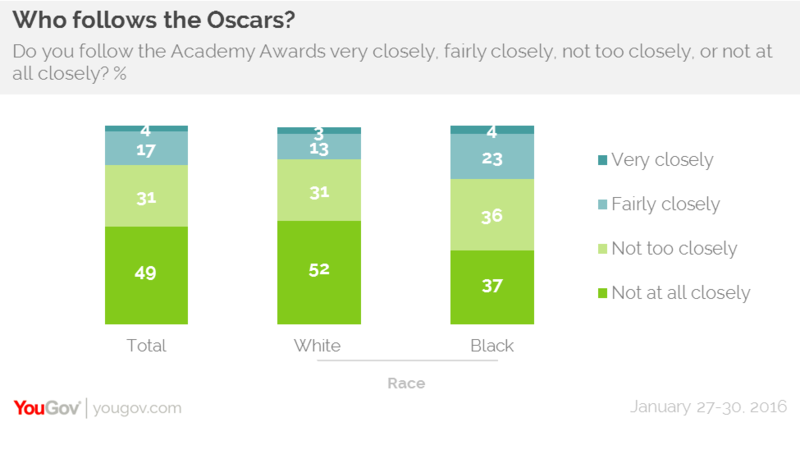 Last year, one in three blacks said they followed the Academy Awards fairly closely or very closely. This year the percentage saying that is a little lower.